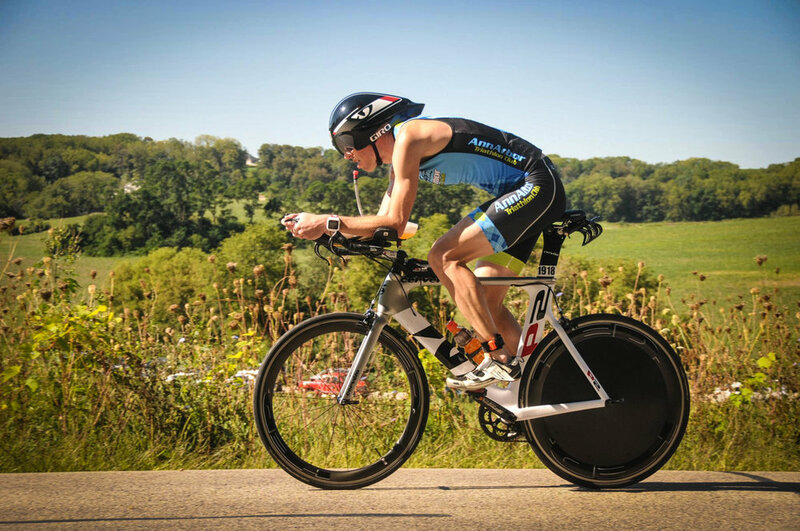 Parker Performance Training is an endurance coaching company based in Ann Arbor, Michigan. We provide a science driven, supportive environment for multisport training that allows athletes of all abilities to train, grow, and learn. Together, we do more. Our master's style swim sessions focus on skills related to open water swimming and triathlon competition. Seasonally, we transition to outdoor venues and continue our triathlon specificity. Join us! The P2 Endurance Lab at the Human Performance Collective is a state of the art cycling facility utilizing Wahoo KICKR Power Trainers. We use a combination of workouts designed by The Sufferfest and Coach Michael. Join us! Hills, drills, and skills! Quality running is a prerequisite for performance. Every Tuesday we head to the track or one of Ann Arbor's infamous hills. Here we build strength, speed, and character. Join us! We have the scientific background and practical experience to maximize your training. Coach Michael's time as a graduate assistant at Eastern Michigan University's Running Science Lab allowed him to work in the 3D motion capture lab with Joe Maloy. Joe went on to represent the USA at the 2016 Rio Olympic Games. Whether in the lab or field testing, we can utilize multiple methods to track training adaptations. We helped test Greg Billington at the Eastern Michigan University Running Science Lab. Greg went on to represent the USA at the 2016 Rio Olympic Games. Precision Nutrition Coaching is a 12-month body transformation program that guides you through important—and sustainable—changes in your eating and lifestyle! It includes daily modules that are short and simple to follow. Every two weeks a different habit will be introduced. It is evidence based nutrition coaching delivered in a pressure free habit based format. Every athlete has a story to tell. We help them tell it, with enthusiasm! Contact us! Let us know how we can help you achieve your goals! Duane, Ted, Tracy, Rhoda, and Jackie tackle the T-Rex Triathlon Series each year. Ted PR'd by three minutes after doing this race 19 times! Coach Michael sets a PR at Ironman Wisconsin. The P2 Endurance Lab at Ann Arbor Running Company (previous location). The P2 Endurance Lab at the Human Performance Collective. HPC offers massage, corrective exercise, a cold tub, and compression pants for recovery. P2 Crew Sunday Swim Session. The P2 Endurance Lab at the Human Performance Collective. After two hours in the saddle, they set records and redefined their limits.